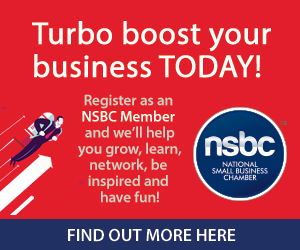 Ending off its 10th year, The National Small Business Chamber (NSBC), in association with World Famous Events, announced South Africa’s ‘Top 20’ for the 2018 South African Small Business Awards. These prestigious awards have gathered a diverse range of entries all with one thing in common: a driving entrepreneurial force. Susan Marais is a mother, wife and entrepreneur from Pretoria. As the owner of 3@Marion Guesthouse she feels extremely fortunate to be able to welcome guests from all corners of the world to our beautiful country and vibrant capital city every day. She is passionate about sharing knowledge. She does this through training at various hotel schools and through her own training company. Furthermore, she started a corporate cleaning business with the sole purpose of creating more jobs in her area. Her personal values are to always be honest, always be kind and always remember to be a little silly and have fun while you are doing it. Bake-A-Ton was driven to success through passion and determination along with a hardworking attitude and commitment to their core values of quality ingredients at affordable pricing. They recognised a niche in the market and put all their effort into offering great customer service. They have developed a strong brand, gained respect in the industry and their product offering has increased in line with the latest trends. Having grown from a two-man operation to a team of 20, they now compete with much larger corporates in the food service industry of KZN as well as online baking speciality stores. Pamela Niemand, the CEO of Enigma Lifestyle Hotel Apartments, completely defines what real hospitality is. This has developed from years of business experience in excellent service levels and setting the trends in the apartment hotel hospitality and property industry. Pamela is a chairman, director and trustee on various associations and body corporates. Pamela’s passion for people expands broadly and diversely which motivated her to start a woman empowerment program in townships. She offers free training seminars to uplift and equip women to start businesses and to create a platform for them to activate their dreams, to become sustainable and to make South Africa a better place. Dr. Sibongiseni Thotsejane is a CIO, co-founder and big data analytics expert at multi-award-winning FlavaLite Innovations. She completed her PhD in Information Systems at the University of Cape Town in collaboration with Ryerson University, Canada. She is among the Winners of 2017 South Africa’s 50 Inspirational Women in Technology and Innovation, chosen by Inspiring Fifty Campaign, Kingdom of Netherlands and #CoCreateSA.nl. She is the first and former CIO of V&A Waterfront. She completed an ICT Women program by The Innovation Hub, Maxum and University of Baltimore in America. She has researched Analytics at Google, in Silicon Valley, in the USA. She was a programmer for Zoek.nl, Holland. Hot 91.9FM is Joburg’s award-winning community station for the past 3 consecutive years. Hot 91.9FM with its ‘Old Skool and R&B’ vibe was founded in November 2014 by managing director, Lloyd Madurai, who is also the youngest member to ever be inducted into the South African Radio Hall of Fame. As an NPC, Hot 91.9FM’s vision is all about shared value within the community it serves, including advertisers and media partnerships. The station has a line-up of legendary presenters including Jeremy Mansfield, Sam Cowen, Mark Pilgrim, Treasure Tshabalala, Tony Murrell and Simon Parkinson. Entrepreneurship is a journey and this is one which Ismail Hassen embarked on 10 years ago. On this path various challenges came that turned his understanding and passion into a greater reality. Resulting in him writing the book Mastering Entrepreneurship – The South African Perspective. Our minister of small business, Lindwe Zulu, gave a very inspirational review on her interpretation of the content after reading the book. As a multiple award winning entrepreneur, the SA Small Business Awards specifically was the only award he told himself to enter once he completed his contribution into the entrepreneurial eco-system through his book. As a woman-owned business, Faiza Moosa realized quite early on, that in order to succeed, she would need to become purpose-driven in her vision to create opportunities for her business to become self-sustaining and relevant. This entrepreneurial mind-set allowed her to demonstrate her work ethic, values and business philosophies to an international client to secure a small yet rewarding contract. She views challenges as a mere shift in gear but not as the yardstick in becoming the best entrepreneur she can be, not only for herself but for the many other woman-owned businesses. She was motivated to participate in the NSBC awards to communicate the importance of self-belief because without it we may never reach our full potential. 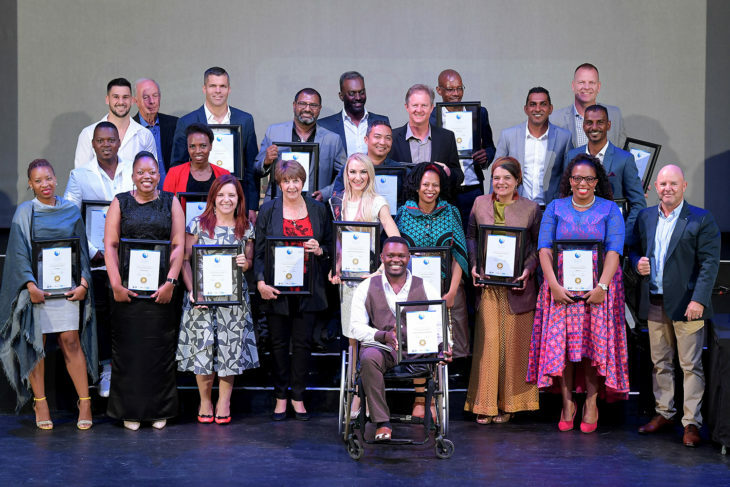 Peter Leshabane has always seen his success in the success of others, particularly in his employees who have sacrificed their dreams to make his a reality. When Mighty Media’s employees can afford to sustain their livelihood – this serves as a yardstick to measure the growth of the company. Every challenge experienced left them a better and well informed company. It could be financial or service related, they have always leveraged the opportunity the challenge has presented. During 2008, at the foothills of the northern slopes of the Pilanesberg National Park, the boutique, Morokolo Safari Lodge, was birthed by entrepreneur Mark Orpen to provide an authentic African Safari experience. It is only two hours from Johannesburg in a culturally-rich, malaria-free and conservation-steady environment. Later joined by the management team, Jacqui and Riaan de Klerk, the Morokolo Safari Lodge experience has grown to nine luxury suites, and boasts outstanding guest reviews on TripAdvisor, Booking.com, Expedia, Discount Traveller and others, whilst proudly claiming the Sanlam Top Destination Awards for the best four-star game lodge in South Africa in 2017 & 2018. Anda Henderson Mthulu is a highly motivated and inspired individual who has a burning desire to make a success of his life. He grew up in Khayelitsha and started working from the age of 10. This made him determined to ensure that he uplift himself and his family out of poverty. At 25, as he was leaving Shoprite Checkers in Mfuleni, he was caught in the crossfire between robbers and the Police, and got shot. As a result one of his legs was amputated. His rehabilitation took an entire year and he decided that he was a victor and not a victim and his abilities are stronger than his disability. He started a shoe shine business which he believes has huge potential and he endeavours to build it into a sizeable enterprise that will employ numerous people with disabilities. Nolitha TS is a company that Nolitha Nkosi-Tshabalala started out of her passion for driving big vehicles. She is driven by the desire to do more, grow bigger, excel in whatever she does and make a big impact. Trucks were a natural for her as she has been driving buses from the age of 19. Their sheer size and their immense power on the road inspired her to thrive in this male-dominated industry. Her company is 100% self-funded. Getting contracts and working capital proved to be one of her biggest challenges, but with an open mind to keep learning and desire to make an impact, she continues to inspire other woman to penetrate this industry. She believes we have an unlimited potential to be great. ProcureSense are procurement transformation specialists who assist corporates to transform their procurement spend. By combining best practice procurement and transformation methods, they enable corporates to spend more with majority black-owned SMMEs. Presently, less than 10% of corporate spend goes to majority black-owned SMMEs. With their expertise, they help corporates leverage the B-BBEE codes to unlock opportunities in their supply chains for black-owned SMMEs. In 2018, they have already shifted R700m of procurement spend to black-owned/black women owned SMMEs for one of their clients, raising their black-owned spend to 15%. Their biggest challenge has been shifting the mind-sets of both corporates and SMMEs with regards to transformation and good business practices. For Andrew Maren from Profitshare Partners, being an entrepreneur means having an unwavering belief in your vision, even when the odds seem to be insurmountable – it is the ability to keep going even when everything around you seems to be falling apart. As a serial entrepreneur and financial professional, Andrew has a history of starting and acquiring strategic stakes in companies with interests in generating significant social impact. His extensive experience in corporate, retail and private banking, together with a series of business successes in the fuel, property and ICT sectors, have inspired him to create revolutionary financial solutions that would enable the market for SMEs. Being born and raised in a mining town known as Marikana, safety has always been a real market for Refilwe Sebothoma. But leaving the comfort of a full time job and starting from scratch in an industry she didn’t know just looked crazy and impossible. But here they are today… continuing to learn, grow and impact the lives of people around them. They saw an opportunity to enter the NSBC Awards to get the needed recognition and encouragement. Growing and getting better in what used to be an unknown territory, is amazing and they look forward to growing PBM to be a reliable partner of choice in their industry. Growing up in Tembisa and starting his first business at the age of 14 selling Ice creams on the streets was tough. Like most township kids, Sammy Mhaule faced many challenges including poverty and had to share almost everything with his siblings. Being an entrepreneur at an early age was the gateway for him to be responsible for himself. Little did he know that it was the start of his entrepreneurial journey. Looking back now he would not change a thing. Skyrule Twyst now sells on a national retail level. This product has the potential to compete internationally, change people’s lives and create a platform for employment and entrepreneurship to grow. It is a dream come true. He is living proof that even if you come from humble small beginnings all things are possible. In 2008, Sureswipe, one of South Africa’s first payment service providers made a commitment to make a difference to independent retailers. This sector has a history of being under-serviced and overcharged by large financial institutions. They spotted this gap and a passionate team has worked hard and smart to honour their commitment. Their ongoing innovation and product extension is continuously delivering solutions that add value to their clients. What started as a simple payment solution now includes integrated payments, mPOS (mobile point of sale), gift and loyalty programs, and funding. Today, they employ approximately 150 people across South Africa that work tirelessly to add value to their 9,000 plus clients. Having led the Transnet capital project team that did the manganese feasibility studies in 2008, it became evident that the Proposed Manganese Terminal to be built in the new Ngqura Port and accompanying rail line upgrade was unlikely to be built for many years. It was apparent that an alternative manganese export strategy would be required to serve the eleven miners already busy developing their mines. Introducing Swartkops Terminal Company. They upgraded and developed the old Port Elizabeth Power Station into a state-of-the-art manganese export terminal and commenced business as a service provider to Transnet serving the manganese export industry. This project has been an unqualified success now handling 2 million tons per annum and providing unrivalled train turnaround time and ship loading. We are a proudly South African company with 30% BEE and are now at level 3, and are developing other similar ventures providing both jobs and export revenue. Tholangwe, trading as Imizizi, (which means “Roots”) is a contract management and strategic consulting company, with its main focus in the ICT industry. Imizizi’s founders’ values are deeply entrenched in their passion for people, skills development and service delivery. The company is in its first year of operation and has already projected a revenue of more than R1 million by the end of the year. Their biggest challenge is entry to market. The industry is dominated by large corporates and being a small female-owned business has been very challenging due to scepticism from clients and existing companies trying to buy them out or intimidate them. Their resilience, focus and desire to achieve their goals is what will ensure their success. Johannes Petrus Roodt believes Ultimate Pet Care is the most exciting brand, a brand with endless opportunities, a brand that is fun, but super serious when it comes to delivering a good service. They entered the market to make a statement, that If you believe, if you give it your all and work hard, success will be reaped. Even by washing dogs. The day he started washing his first dog in someone’s backyard he never thought it would be possible to build a brand, a franchise, a legacy in the dog world. Today he is beyond proud that Ultimate Pet Care has been recognised through achieving this NSBC Top 20 Award. His advice to any entrepreneur: never give up, keep on keeping on. The days were many that he wanted to quit, but the reward of endurance is priceless. Xero is committed to championing South Africa’s small businesses. They shouldn’t be underestimated – they are critical to the success of the South African economy. Starting out as an entrepreneur himself, Colin Timmis was aware of the challenges and pressures that start-ups face. It’s tough out there, but Xero is here to help. They provide accountants and small business owners with beautiful, easy-to-use online accounting software. By reinventing the accountancy wheel, they are enabling accountants and bookkeepers to help small businesses to grow, succeed, and create jobs.